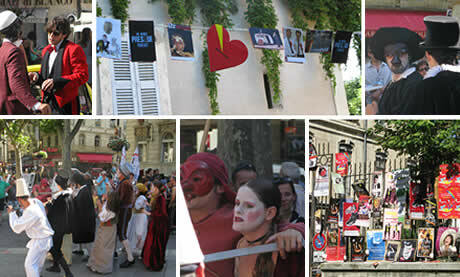 Now that the pope has left Avignon, the minstrels are out of control. 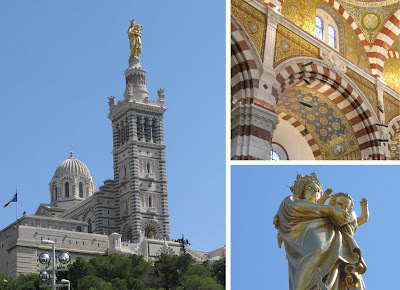 A few shots of Notre-Dame de la Garde, the basilica overlooking Marseille, which is actually interesting enough to comment on. It has, among other things, battle wounds from WWII, a drawbridge, several walls of photos reminiscent of an Italian restaurant, miniature sailboats hanging from the ceiling, a unique Romanesque-Byzantine style hated by many, a crypt rumored to be creepy cool (but sadly, only open on weekdays), and a prayer chapel that is hotter than – well, better not say. And to top it all off (hehe) it's crowned by a gigantic golden mother and child. Who would guess little baby Jesus' wrist to be 1.1 meters around? Out of all the languages I would like to pretend I know, French ranks the highest. I know this is very liberal and elitist of me, but it is just an aurally lovely language that I have always wanted to know, even before I knew that the smart prep school kids learn it to read Proust or whatever and (though secretly at this point) even while I was learning Spanish, "a much more useful language," in high school (in fact at least since the time of Kylie Minogue's one US hit, if you'd like to get technical). At least at the Marseille police station, English turned out to be the next most useful language, but really only because there was a smart 10-year-old there able to translate to the very CSI-looking receptionist that we needed to file a report for our stolen license plate. Somehow our being American was very remarkable to everyone we met. I couldn't get a read on why exactly this was, but eyebrows always went up and américain! was exclaimed. But anyway almost everyone during our visit was exceedingly nice and only mildly disdainful of our good faith yet apparently pitiful attempts at their language. 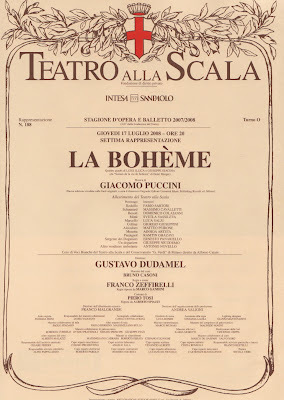 This week we had the very good fortune to see La bohème at La Scala in Milano. I am having a hard time keeping my gusto about this performance in check; pretty much everything about it was amazing. I have already talked several ears off about the brilliant Zeffirelli set, the Puccini bust in the ballroom, our amazing seats, how I felt like a Victorian lady, the tassels on the drapes in our opera box, the lovely tear-inducing voices, and the beautiful conductor. Err... off to France for a few days! 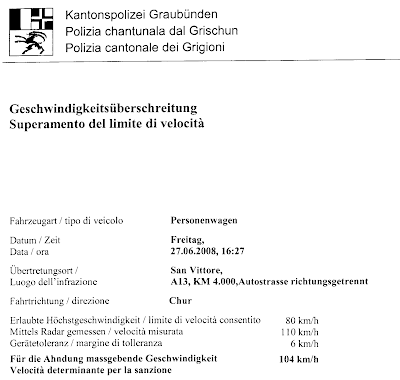 I personally think we could have learned the "no speeding through Graubünden" lesson for much less than 260 CHF, but perhaps the rest of Switzerland is harder to convince. Nice guessing, Lillo. Pretty accurate for a non-driver. As a prize, why not pay it off for us! What's a few euros to a girl like you? When you are buying antiques, it's always very useful to learn the provenance of the piece you would like to purchase. So, while you are guessing on yesterday's tragic item, I am happy to oblige you its details. The speeding ticket was admittedly well-deserved (in case we were not already thinking this, the letter accompanying the ticket delicately informed us of the existence of photographic proof to the contrary) but I feel the need to share the tragedy that had already befallen us this day. The police, I know, are not interested in explanations or apologies – how much do I still regret the "I'm sorry" that escaped from my mouth after a paternalistic tongue-lashing from a spiteful Evanston police officer convinced that my confused crosswalk violation revealed a latent desire to murder schoolchildren – but friends (and antiquers) are much better at mercy and understanding than are self-important, authoritarian sadists. So I share the story with you. About 1.5 hours out of Lugano toward Munich we faced a painful decision – continue on without passports or go home to get them and add an extra three hours to our trip. (Why on earth we would attempt a six hour driving trip in Europe without passports is another question I prefer not to think on.) After five minutes of slow and stilted driving, we came to terms with our stupidity and turned around. Is there anything worse than driving the same route three times in one afternoon? Is there anything more nauseating than eating chips and Carpe Diem carbonated medicinal tea drink all day? Is there anything less conducive to driving the speed limit? On the other hand, is there anything more satisfying than a pretzel, cheese, and a beer right before the beer garden closes? We made it to Munich in relatively good time; now we know why. If you are, know, or happen to love a police officer, please know that I confine the majority of my hostility toward the Evanston police department and that no-good briber in Spain's police force (another good vindictive policeman story for another time). C'mon, I watch The Wire. I know all about what you guys do. I will forgive you for being mean to me since you deal with those yos (yo's?) on the corner all day. Also, I am now thinking, I should not discount all of the good police officers that I knew personally as a grade schooler. Those guys always took time to come to school, gently scare us with statistics, listen to us being broken records... all while maintaining a friendly but official fatherly facade. Officer Friendly (apparently his real name) was a real peach. And that guy with a mustache and a less memorable name was always special to me as well. I never became a druggie, possibly because of them. 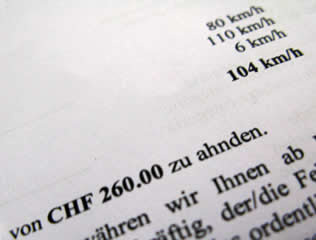 So, what do you think this speeding ticket for 24 km (15 miles) per hour over the speed limit in the concise canton of Graubünden will cost the Swiss Mr. and me? Sticker compliments of Frau Brow. 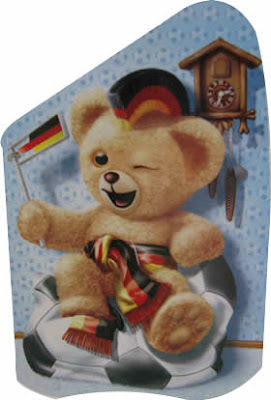 I wonder if the creepy Snuggles voice translates to German.... Can you imagine what an annoying fan s/he would be? Close behind these topics in the Lugano stream of consciousness is the Olympics. People have mentioned it so many times that it started to sound really probable to me. 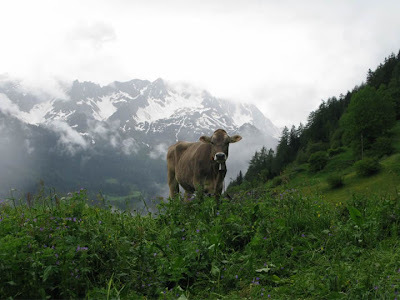 I began jumping into these conversations enthusiastically – "oh yes, I've heard this! I think there must have been some events here one year!" 1. Turin 2006. Torino is not so far away, really. Zoom out a world map a couple of times and they're practically on top of each other. 2. Lillehammer 2004. Another cute little European town that seems really familiar for no real reason. 3. Nagano 1998. Nagano. 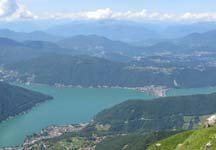 Lugano. Nagano. Lugano. I therefore conclude that one of more of these factors has created a collective false memory about the Olympics being in Lugano. But I do hope that someone can somehow prove me wrong about this. I'm not really looking forward to disappointing most of the rest of the world. No one likes that person. Thanks to all who guessed and/or tried to get the answer out of me on the phone this weekend. 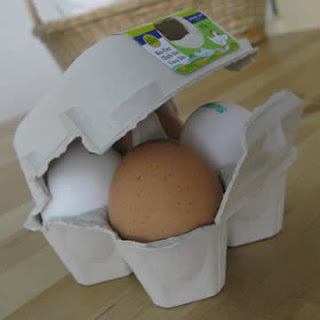 The actual retail price of these four eggs was 3.40 CHF. Julie-uli-uli, you win! Congratulations, you are truly ready for expatriate living (and/or an appearance on a morning game show). Let me know when you have a new address and we can arrange a covert meeting to exchange information. Alex also deserves an honorable mention for his guess, which was so close I had to use Excel to figure out who won. So, for your reference, this is more than $10 per dozen. We ate these little investments this weekend and – no surprise here – they looked, tasted, and felt delicious. This probably won't keep me from buying the much less vigorous but still not exactly cheap "Budget" eggs in the future, but it might make me slightly more resentful. As an old coworker used to say when addressing a group, generally after a long unrequested lecture about some obscure employment regulation "The Feds" were going to start busting us on: "Have good weeks!" "You know what's great about our cat? He doesn't understand sarcastic petting." Finally, the moment at least one of you has been waiting for... the return of HMDIC?! Since the dollar has stabilized around "just slightly depressing" our sticker shock has subsided somewhat. You can only live in panic for so long; after a while you stop caring and go on buying yourself cheese. But still, there is no reason for any of us to forget how relatively expensive this protectionist bubble of a place actually is. I wonder if the US is the only country that operates in dozens when it comes to eggs. Hmm... Happy guessing! All this talk of dairy products reminds me of this Sesame Street bit which, like dairy products, has a special place in my heart. Perhaps because I've been daydreaming about Thomas Jefferson lately (more Jefferson in Paris than Jefferson on the two dollar bill, note), I recently had the tune "Yankee Doodle" in my head (the flute version). Which led me to wonder for the first time ever: What does it mean? I think I understand all the words in the song individually, but together they're like a bad macaroni salad (though perhaps that's a redundant turn of phrase). A bit of research seems to suggest mine is the grade school version (the real one having many more painful stanzas). It was originally sung by the British in mockery of New England dandies who tried to be sophisticated but ended up looking like doodles (feathers apparently not cool). Macaroni (or maccheroni as it is actually spelled in Italian, interestingly) was the derisive term for well-travelled Brits whose grand tours around Europe made them really stuck up and annoying with their affected foreign culture and manners ("I don't know, I just feel so naked without a scarf on at all times"). Oh man, Americans have never liked being called gauche. The only choice was to appropriate the song and sing it back in their pale little faces. ("We're from America, couldn't be prouder. If you can't hear us, we'll yell a little louder.) 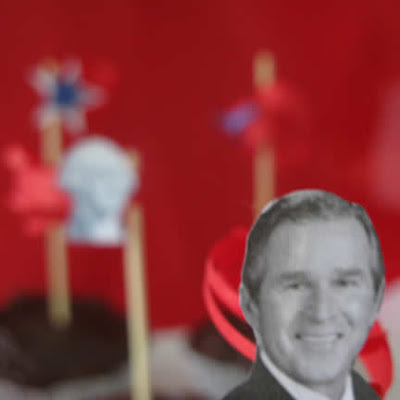 Which is how Yankee Doodle came to be part of the Americana medley we sang at our fifth-grade pageant, "Fifty States Night" (I representing the noble state of New Jersey). And to be stuck in my mind at this very moment. It won't make History Detectives but it's nice to know. We recently received a full-color pamphlet in the mail entitled "AlpTransit in Ticino" – 12 full-color pages with updates on all the public construction projects in the area. The Swiss passion for public works involving tunnels cannot be bridled. I will admit to indulging in some semi-cruel laughter at the expense of this sincere little booklet before I considered how nice it is to know that someone is actually working on the highways and not just closing lanes to torment us like they do elsewhere (no doubt in retribution for all those highway workers we drivers apparently hit so often). I've already misplaced it or I would show you how classy it is. Side note that for some reason I am making very small: Although I have always thought trucking to be an interesting occupation which I would consider had I a willing partner and no other tempting employment, I will go on record to say that being a trucker in Europe seems like the worst job ever. Wait, drive through a tunnel, wait again, sleep by law, wait in line, wait in traffic... Maybe in Italy the truck stop food makes up for this, but I'm not sure how it could be worth it elsewhere. 3. Create a brand name out of some English words (add an apostrophe, warranted or not) and put it in a really original logo (avoiding carefully the use of mustaches or other facial hair which, American or not, is unappealing). 4. Design a distinctive package for your product. 5. Add two layers of extra packaging (to make it seem American). 6. For maximum sales, include "Bio," "Nature," "Energy," and/or "Sport" on the label. My mom might be the only person who remembers how I used to make mint lemonade out of the gold Better Homes and Cookbook binder over and over every summer. I think I was really into growing mint for a while as a kid. It's really not good for much more than making drinks, is it? Anyway, I found a recipe that was the same or similar and made it this Fourth of July weekend and it made me nostalgic and happy, even though I used lime instead of orange and Pellegrino instead of ice. Cook sugar and water to make a simple syrup. Cool. Add fruit peel and juices. Pour over mint leaves, cover, and let stand 1 hour. Strain into a pitcher. Serve 1/3 cup syrup in each glass with your preferred combination of ice and water. The same part of me that likes picking up prayer cards in Catholic churches, having baseball cards in my closet, and sorting stamps on coffee tables is sort of thrilled by the most recent campaign strategy the local PPD. 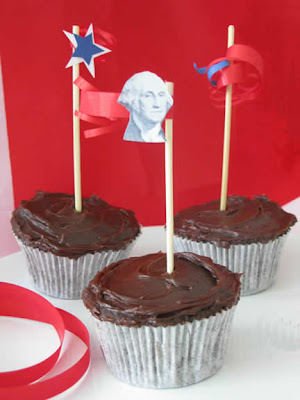 What better way to get the whole populus involved in the elections? 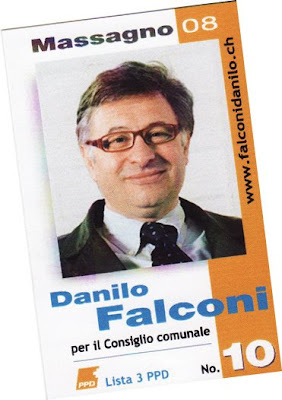 Right now some local kid is wondering whether his Falconi was really worth two Mother Teresas and a Pikachu or if nonna ripped him off. He'd totally be voting if he could. This makes we wonder, is it really called the "Mexican wave"? And why do I just know it as "the wave"? Am I Mexican? Many Germans, it is safe to say, have a bit of a complex when it comes to patriotism. It seems they have a real or imparted instinct to self-censor any feelings of pride for country, to carefully exercise emotional restraint. International sports competitions, therefore, are a welcome relief, a time when it is okay to put out flags, wish for victory, have some pride. 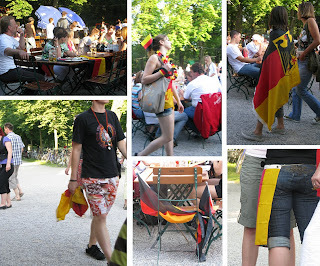 At a viewing of the Germany-Spain game on Sunday night, this pride was cheerfully on display. Even those without jerseys or flags managed to find something that approximated some combination or red, gold, and black. As we walked around the beer garden, my observations about German patriotism soon became observations about US patriotism, which, shortly after that, became observations about myself: the inevitable progression. I'm not sure, but I think that most Americans would still have a special response to these flag uses (or abuses, as I teased my German friends). I myself am not a particularly patriotic person, but I found myself obsessively chronicling flag etiquette violations like some freak patriot. As I realized during a conversation with friends about taxes and healthcare this spring, we cannot really live modern, integrated lives outside of a country; wherever we are, we are stuck behind a border, a flag above us. For better or worse. So the question is: Do you have a flag?